About 22 percent of the world’s population is on Facebook, and a whopping 93 percent of Pinterest users are reaching for their credit cards to make online purchases. Hearing these numbers makes you want to dive in head-long eager to have your own slice of the huge pie? But wait! Are you doing it the right way? Are you going after the right audience? A lot of businesses open one social media account after another, in the hopes that one or two platforms will somehow convert and compensate for their overall investment of time and money. But is “the more the merrier” approach delivering the desired social media returns? With so much content out there and just so much time in the day, quality over quantity will win every time, which all comes down to your content and how you make it resonate with your target audience. Successful content opportunities don’t just pop out of thin air into your lap, they are facilitated. 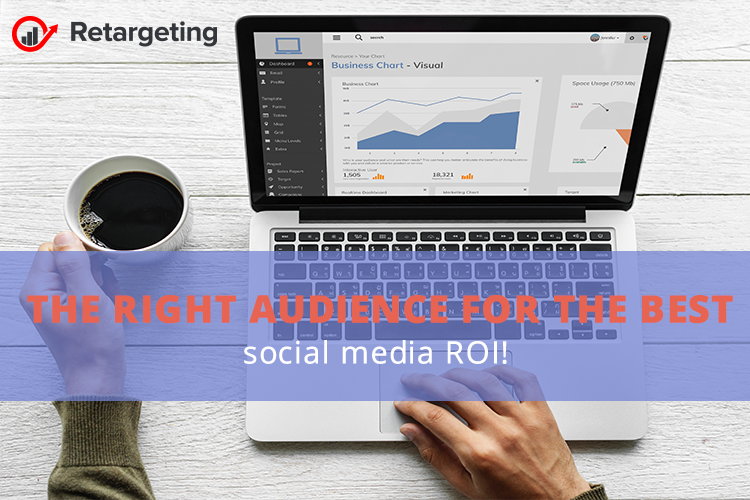 If you take the time to understand not only who your target audience members are, but their interests and passions, you’ll be on your way to effectively prepare a unique content-creation strategy that will lead you to those returns on social everyone is buzzing about. Stories are powerful because they engage the mind. If well-scripted, they can attract visitors to your product or service, engage their emotions and get them doing exactly what you want. Let’s take an example. If you sell umbrellas you could post a picture and say, “Buy this umbrella now.” and no one would like that post. However, what if you took a picture of a man opening an umbrella for his date and helping her out of her car? You’d be telling a story that aligns with your product in a way the consumer can relate to. Without directly asking people to buy your umbrella, the picture you paint with words generates the feeling of desire for the umbrella. The message? Compelling, brand-optimized stories that your target audience can relate to are key. “Out of sight, out of mind.” it’s very relevant when it comes to social media. Any business with a “when I can” approach to engaging online customers will eventually see its brand buried. The reason is that even more crucial than crafting persuasive content is consistent content. In the fast-paced social media space, you must consistently push out compelling content by developing a content marketing strategy and sticking to it. The message? If you post content today, then skip several days or weeks before posting the next one, your overall online engagement efforts will fail to deliver desired returns. Eye-catching copy + consistent posting = successful engagement, but are you engaging the right online audience? Facebook, alone, has an impressive 2.2 billion active users daily, but that’s just traffic if you’re not targeting and generating the right leads. Paid advertising offers a great opportunity to target your ads. For as little as $1 a day, you can advertise effectively and affordably on a platform of choice like Facebook. But 62 percent of small businesses still fail with Facebook Ads because the target audience isn’t spending time on Facebook, the business doesn’t understand its audience or the business doesn’t have the right hook. Businesses must tell a story that gets into the heart of the audience and tells it strategically and consistently. To do this, they should take advantage of paid ads on social media. This can result in impressive returns on ad efforts almost immediately. The message? If you aren’t continually testing new content ideas behind your ads, you will lose to a competitor who is. Prepare for the future of content marketing!